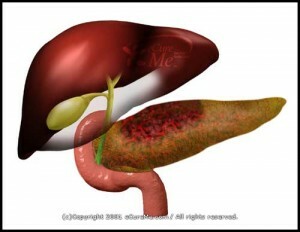 1 What is Acute Pancreatitis? Acute Pancreatitis is a condition of pancreatic inflammation that is characterized by severe upper abdominal pain that takes place suddenly and resolves within days of proper treatment & medication. Acute pancreatitis has several symptoms which one must not ignore as it may jeopardize one’s life if not diagnosed at the initial stage. If treated well it may not take more than a few weeks or a month to heal and may help the patient to live a healthy and stress free life. Along with severe upper abdominal pain which may radiate through the back, one suffering from acute pancreatitis may experience nausea and vomiting. Severe acute pancreatitis may lower the blood pressure and cause dehydration. This may be followed by any abdominal, renal or cardiovascular catastrophe. Internal bleeding of the pancreas may significantly lead to trauma and death if remained uncontrolled for long. The most prominent of the causes of Acute pancreatitis is the formation and presence of stones in the gall bladder that is formed due to the accumulation and hardening of bile. 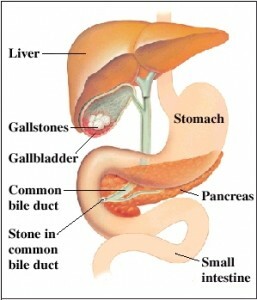 Such stones obstruct the path of the common bile duct, thereby leading to the inflammation of the pancreas. Chronic consumption of alcohol also contributes to acute pancreatitis. Besides these primary causes other factors such as intake of harmful drugs such as DDI and furosemide, abdominal trauma, autoimmune pancreatitis, vasculitis (inflammation of the pancreatic blood vessels), viral infections, hypertriglyceridemia, pancreas divisum, genetic disorders, metabolic disorders such as diabetes, and tumors are also responsible for the occurrence of this deadly disease. prescribe a number of medical tests. Ultrasound imaging of the abdomen is conducted by making sound waves pass through the pancreas, liver, gallbladder and other organs to help doctors discern the exact causes of acute pancreatitis. The electric impulses created by the bouncing of the waves create an image on the sonograph which aid the proper diagnosis of the disease. Computerized tomography Scan, commonly known as CT Scan is an X-ray of a noninvasive nature that produces a 3 dimensional image of the body parts. It is helpful in showing the size and the exact location of the gallstone and makes one aware of the extent of damage caused to the pancreas. Sphincterotomy is conducted with the help of a small and thin wire attached to the endoscope that reaches up to the small intestine and detects the presence of a pseudo cyst in the pancreatic duct and helps to remove it out form the duct. basket fitted with the endoscope. A stent or a tiny metal or plastic piece is placed in the pancreatic or bile duct so as to allow an entry to the same by keeping it open. A small balloon is used to dilate or stretch a narrowed duct. However this method is being replaced by the following due to the complications involved in the aftermath of this kind of diagnosis and treatment. Another advanced test based on MRI used to detect and diagnose pancreatitis is the Magnetic Resonance Cholangiopancreatography (MRCP) which produces cross-section images of the body parts subjected to the test. Like the CT scan, the MRCP is also noninvasive in nature. In this process the patient is slightly sedated and is made to lie in a cylindrical tube so that the patient is ready to be injected. Then the person conducting the test injects a dye into the veins of the patient so as to produce the image of the gallbladder, the pancreas, and the bile ducts on the magnetic screen. A person suffering from acute pancreatitis is supposed to be hospitalized so as to receive proper medication and treatment. The treatment usually depends on the severity of the disease. One suffering from a mild acute pancreatitis may also need to be hospitalized for being injected intravenous fluids and also to get relieved from the pain with proper medication and antibiotics. However during the period of hospitalization a person may not be able to eat or drink and so has to be fed with the help of a tube inserted through the nose to the stomach. In case of severe acute pancreatitis, when the person is absolutely unable to take in food, nasogastric feeding is recommended. Whereby, a kind of liquid specially prepared for such serious patients is fed with the help of a long thin tube inserted through the nose to reach the stomach. This keeps the pancreas at rest and gives it the time and opportunity to heal. Moreover, at the time of discharge, the patient is advised to strictly prohibit from smoking, drinking alcoholic beverages and consuming food rich in fat. However the discharge of the patient is subject to the satisfaction of the doctors that the patient is out of danger and has also responded positively to the ultimate analysis of the health condition. The techniques listed under Acute pancreatitis diagnosis are also the one used to treat this disease. The MRCP is the most advanced and specialized of all. In case of mild Acute Pancreatitis, cholecystectomy is performed to remove the stone from the gallbladder. But in case of severe acute pancreatitis, the doctors have to resort to conduct the EUS or the ERCP on the patient so as to understand the complications involved in this disease. 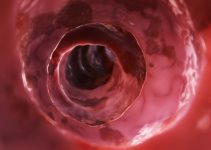 However, this technique has its own perils and may lead to severe complications such as bleeding, infection and perforation of the bowels. ERCP is also conducted in case of infections or the development of pancreatic abscess and to drain out pseudo cysts as the toxins can enter the blood stream and harm other vital organs such as the lungs, the heart or the kidneys. The extreme effect of acute pancreatitis may cause kidney failure, heart attack, lung failure and hypoxia (a condition of breathlessness caused due to the inadequate supply of oxygen to the body cells and tissues). So in order to avert any such danger, one must not ignore the symptoms of pancreatitis and get diagnosed and treated for the same at the earliest under the guidance of a doctor specialized in this field.